Sale with different Breton’s products. How to combine jam, sardines and biscuits in a same picture ? 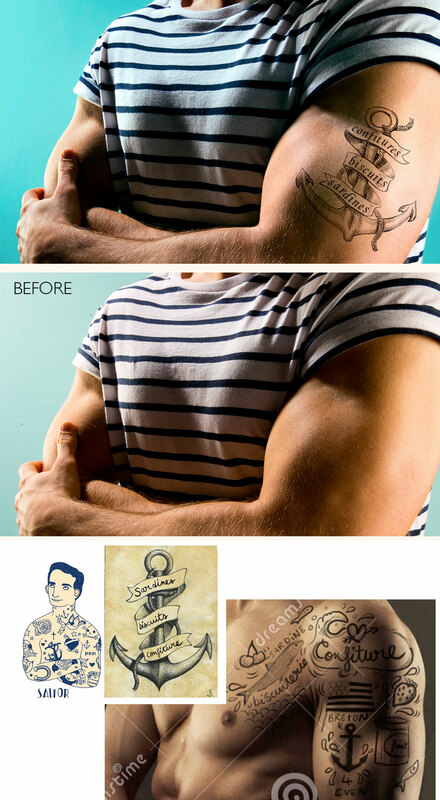 I decided to use a Breton marine’s muscular arm to draw a tattoo that gave me the oportunity to avoid to show products.